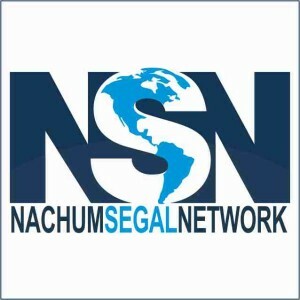 I am pleased to announce that I will be interviewed as a call-in guest this coming Friday (January 9th, 2015) on the Nachum Segal Network. I will have the pleasure of “appearing” on the show “Table for Two with Naomi Nachman” to discuss culinary travel in Israel. The show starts at 9 AM, Eastern Time. In particular I will be discussing my tours of Machane Yehuda Market, but we will obviously discuss many other things as well. So I hope you will all tune in to listen. And I am fairly certain the show will be archived later, so if you miss it live, look for it afterwards. I will be the first guest of the show. “Table for Two with Naomi Nachman” is a weekly show hosted by Naomi, the Aussie Gourmet. Naomi interviews many personalities from the kosher food world, and I am excited to be one of her guests this week. As it turns out, though we’d lost touch, Naomi and I knew each other in our younger years, so it is nice to be able to reconnect with her via food!